One of Wales' best known and much loved television and radio presenters. Sara was born in Wales but grew up and was educated in London, where she graduated in Medieval and Modern History. She is the daughter of surgeon John M. Edwards M.S., F.R.C.S. Professor of Surgery and Fellow of the American College of Nuclear Surgery and actress and broadcaster Gwenyth Undeg Petty. Sara's broadcasting career began as a researcher at Capital Radio in London. She went on to present her own music and live chat show five nights a week on County Sound in Guildford, and also contributed items to BBC Radio 4. The success of this extended to television where she began on screen as a presenter for HTV West. After a few months, she was invited to join BBC Wales in Cardiff. 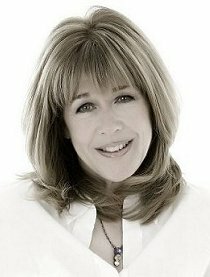 Highly professional, and popular with viewers, Sara is known to most people for presenting the evening news programme 'Wales Today' and for her landscape documentaries on rivers, horses, architecture and the countryside in general. For the last twelve years, Sara has presented the Royal Welsh Show for BBC Wales.